With a vision of transforming rural youth to be entrepreneurs, he founded 1Bridge, a rural last-mile services platform that leverages the power of local entrepreneurs & technology to bring access, choice & convenience to rural consumers. Today, 1Bridge is present in 30+ districts across South & East India and has over 600+ rural youth engaged on its platform. 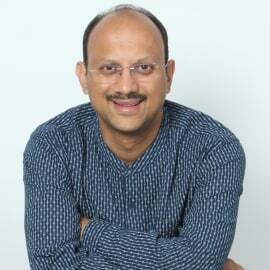 Madan is also the co-founder & Trustee of Head Held High Foundation, a non-profit that stands for human dignity. Head Held High Foundation’s vision is a world of abundance, in which poverty has no place. HHH focuses on initiatives for poverty eradication like Make India Capable, where a rural youth with no schooling, in 6 months is transported to being extraordinary capable as a person, and work-ready in a professional environment and Global Action on Poverty (GAP) a platform that builds and supports Changemaking communities to eradicate poverty. Partnering with other Education leaders, Madan is also a co-founder & Director of Sylvant– a pioneering initiative to create a robust scaffolding for education entrepreneurs to succeed. Sylvant invests and supports early-stage education entrepreneurs and has a current portfolio of 18 ed-tech companies. He is also a founding Partner of Social Venture Partners, Bangalore and is the Convener of the Million Jobs Mission – an initiative to help leading livelihoods organisations achieve scale through a support network. He is also an active member of the Governing Council of TiE Bangalore and had served as a Senior Advisor to Tata Trusts between 2015-2016. Madan is a sought-after speaker at various conferences around the world and has shared his innovative ideas & thoughts at prestigious forums like TEDxGateway, TEDx GolfLinksPark, INK Conference, etc.